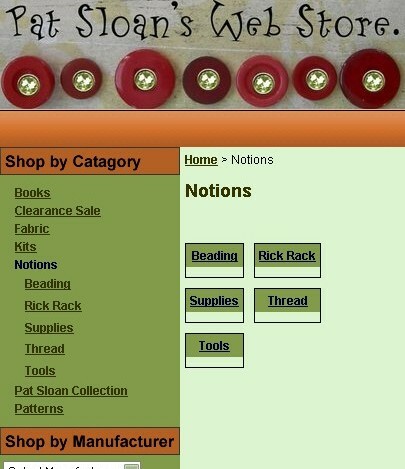 I'm having a ball fixing up the news store and getting some cool projects in for us! 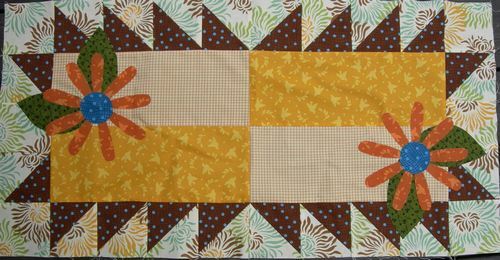 I love this little Daisy table runner so much..
... that I did another one for fall! This great fall mull fabric, some of my Nikki and Sweetbriar fabics made up this fast fall runner. 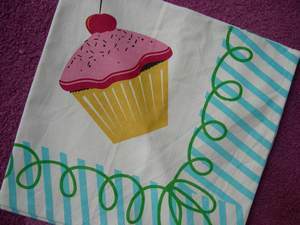 The binding that I included is the chocolate/blue polka dot fabric. 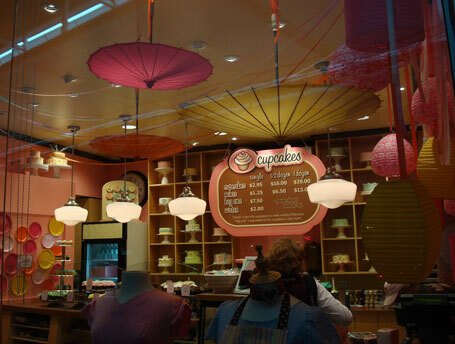 Are you enjoying the Designer interviews at my blog? I so love getting to know them better. Even for my friends I still don't know everything about them! 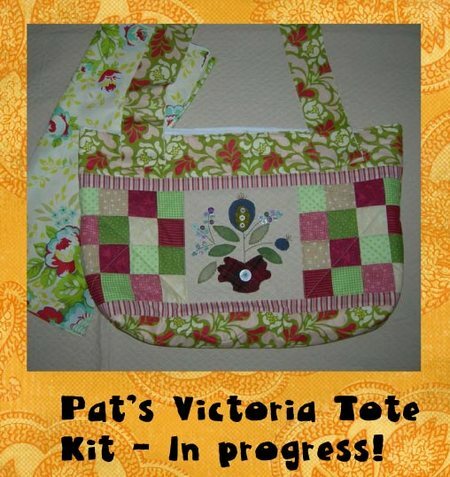 Since I've always wanted to make Sue Spargo's Victoria Sewing tote, I decided the day before her interview to get one made up and offer a limited number of kits!! It turned out so darn KOOT!!! I still have a couple left, so hurry over to get one! ps - remember to click on Celebrity Interviews at the right side bar of my blog to see all the interviews! 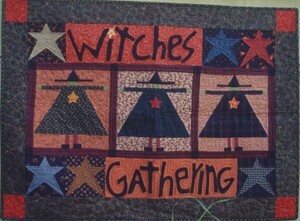 The Witches Gathering from Country Threads just makes me smile! Do you see they are GREEN? LOVE that! 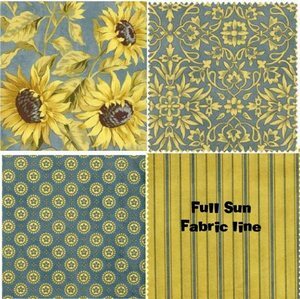 On the page I have links to fabrics in stock that would work for this project... nothing needs more than 1/2 yd.. woot! 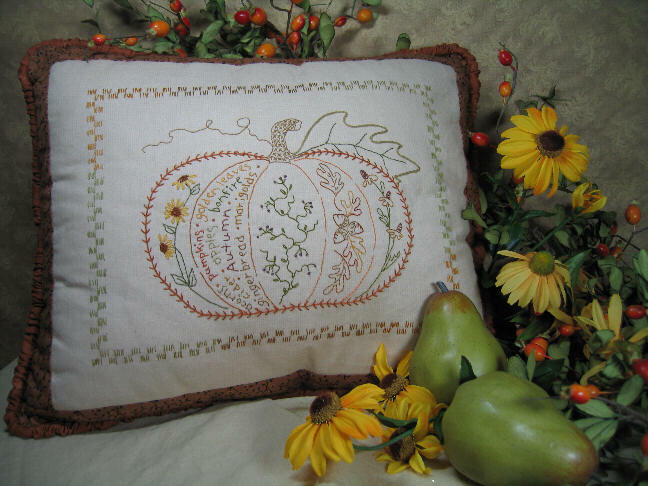 This little Harvest Pumpkin stitchery by Crabapple hill is so delightful! 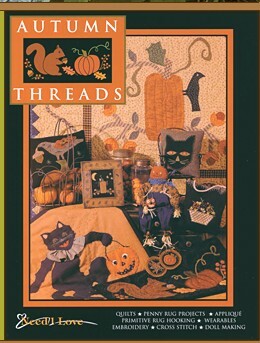 With all my favorite fall words and images.... don't forget your pearl cotton thread! 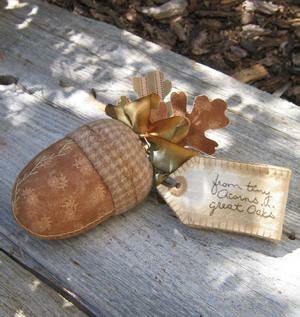 This is such a beautiful pincushion..and the tag? It's a needlecase! That Crabapple hill is so clever. Do you have some brown velvet... don't you think that would make an awesome acorn? 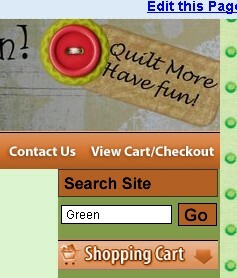 I'm better able to organize things in the shopping cart now. So when you go to an option like FABRIC or NOTIONS, you'll now see a set of boxes that are organized by type for easier viewing. Just click the box of your choice to see what is in that category. I'm working on a photo for each box. Call it a Clearance, Call it a Sale... the page is back! 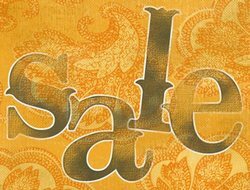 We have started loading items up, so be sure to check often to catch a GREAT deal on a Clearance item. 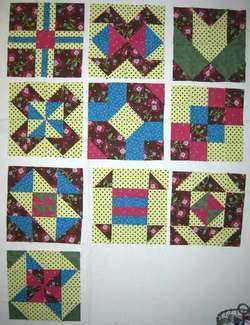 I loaded my photo of ALL my book club blocks ... check it out! Are you doing the blocks? I'd love to see them! 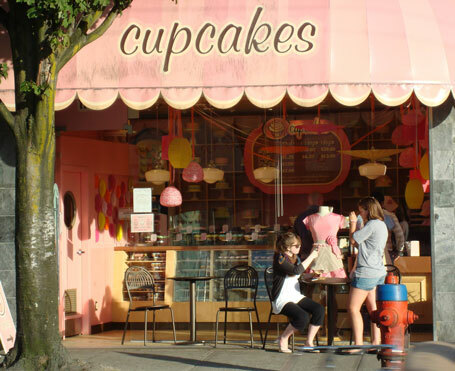 And Patty took photos of a cupcake place!!! I want to MOVE IN.. really.